Words simply cannot describe the power and emotion the Palace Brothers invoke. Louisville, Kentucky, must be such a desolate place. 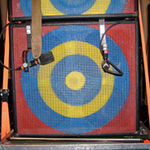 The vocals shake like a newborn foal trying for the first time to stand on its own four legs. The slow, quivering country bluegrass music takes you through those amber waves of grain, wide open lands of silos, broken down rusted tractors, barns, antique bottles, dirt in roadside shoulders, moonshined whiskey, corn stalkers, and decaying raccoons tucked away where fences meet and no light shines. These songs could bring even the strongest man to tears. 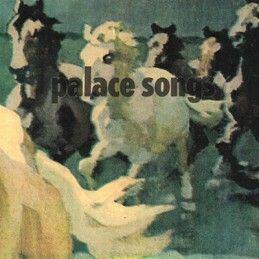 “Horses” has some Royal Trux–ish electric guitar soloing near the end of the tune; “Stable Will” is the absolute best thing the Palace Brothers have ever done. Originally published in Ink Nineteen in July 1994.